Follow the perilous journey of Nathan Drake across the globe, from humble beginnings to extraordinary discoveries. 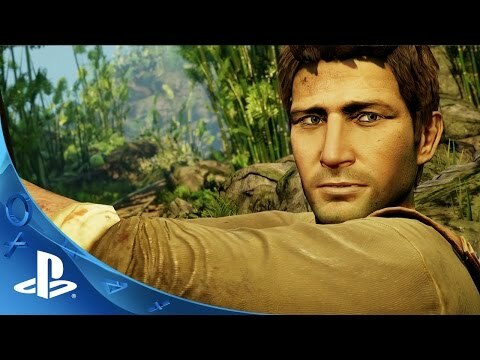 UNCHARTED: The Nathan Drake Collection includes the single-player campaigns for UNCHARTED: Drake’s Fortune, UNCHARTED 2: Among Thieves, and UNCHARTED 3: Drake’s Deception. Play as Nathan Drake across a trilogy of thrilling, white-knuckle adventures. Experience Drake’s relationships with those closest to him, as he struggles to balance adventure and family. A new 1080p resolution and generous framerate give everything a clean, crisp, fluid look and feel that flatters the original PS3 version without betraying Naughty Dog’s vision. up to 3 platinum trophies! Freeze gameplay at any time and take control of the camera to capture your most memorable moments from the trilogy to share with friends directly from your PS4 system. Utilize graphical filters, camera controls, and other options to customize your shot.